Firebird 4.0 support: of functions, syntax extensions, management statements, case-sensitive user and role names, system privileges, and much more. New IBExpertBackupRestore Service Version: Allows all options for IBEGbak and gbak also for Firebird 3. IBEGbak: allows service-based backup/restore tasks to run faster, especially when using multiple servers over the network. IBELog.exe and IBELogGUI.exe: allow you to convert a Backup Log into a table-based compressed format to see which tables are responsible for long run times. ufw.exe: is an easy command-line tool to allow opening or closing TCP/IP ports in the Windows firewall. As long as you have IBExpert Direct activated in your IBExpert application, you will automatically be informed of all new updates, and automatically directed to the IBExpert Download Center, as soon as they are available. You can find out more about IBExpert Direct in our online documentation. As part of our commitment to GDPR, we would like to ensure that your email subscription permissions are current, and we need to verify that you want to keep receiving this information. Purchase your IBExpert 12 month software subscription by mailing sales@ibexpert.biz. Is your software still valid for an IBExpert subscription? Check our software conditions here. Firebird Administrator intensive training focusing on speed, security and interfaces. In our workshop we focus on the tasks an administrator needs to perform to effectively operate a Firebird server. The aim is to achieve the optimum speed for the hardware and software used, to guarantee maximum operational reliability, and to be optimally prepared for a breakdown by means of a suitable worst-case scenario. We will also concentrate on the independent implementation of simple requirements in the areas of import, export and reporting. The workshop will also include the presentation of our new tool IBEGbak.exe. This tool can greatly speed up the runtimes of your backups and, in particular, the restore process to a backup server. We are also happy to come to you! Our workshops can be booked as company training and all topics can be customized to fit your requirements. Too little time? All workshops are also possible as remote training! The Firebird Project announces the first Beta release of Firebird 4.0, the next major version of the Firebird relational database, which is now available for testing. This Beta release arrives with features and improvements already implemented by the Firebird development team, as well as with countless bugfixes. ... continue reading on the firebirdnews.org website. Please read the Firebird 4.0 Release Notes carefully before installing and testing this Beta release. In our Firebird Power Workshop we focus on the tasks an administrator needs to perform to effectively operate a Firebird server. The aim is to achieve the optimum speed for the hardware and software used, to guarantee maximum operational reliability, and to be optimally prepared for a breakdown by means of a suitable worst-case scenario. We will also concentrate on the independent implementation of simple requirements in the areas of import, export and reporting. Registration by phone: +49 (0) 4407 3148770 or by e-mail to sales@ibexpert.biz. We are also happy to come to you! Our workshops can be booked as company training and all topics can be customized to fit your requirements. Too little time? All workshops are also possible as remote training! Initial support in IBExpert since version 2018.12.15. Time zone support consists of TIME WITH TIME ZONE and TIMESTAMP WITH TIME ZONE data types, expressions and statements to work with time zones and conversion between data types without/with time zones. Refer to TIME ZONE for details. 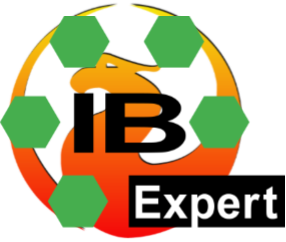 IBExpert support since version 2018.12.15. Refer to BINARY, VARBINARY, BINARY VARYING (Firebird 4.0) for details. Refer to DECFLOAT (Firebird 4.0) for further information. Since version 2017.12.03 IBExpert supports Firebird 4 NUMERIC/DECIMAL datatpes with a maximum precision fo 34 digits. You can read the full Firebird 4.0 Release Notes for the Firebird 4.0 Alpha 1 Release here: Firebird 4.0 Release Notes. The cloud does not mean loss of control, but can be a good addition to the existing infrastructure, or even a replacement, together with an independent, competent partner as consultant. Stay independent! Log in to the IBExpert Download Center with your customer data, click on My Account (top right), then Change, and check the I would like to receive the IBExpert newsletter box to activate the free subscription. You will then receive our monthly IBExpert and Firebird news by e-mail, with information on new IBExpert product releases and updates, current white papers and case studies, information about our events, workshops and conferences and of course special IBExpert product promotions. Our new price list is valid from January 1, 2019. Our offices close on December 21, 2018 at 2pm for the holidays. We will be back again on January 2, 2019. The 2018 price list applies to all orders received by December 20, 2018, as long as payment is received by January 7, 2019 at the latest. Holger Klemt will present 3 individual training sessions. You can sign up for each individual session, or all sessions. Please mail contact@ibexpert.com for more information and to make reservations! Please update your installation at the next opportunity from the IBExpert Download Center. Purchase your IBExpert 12 month software subscription by mailing mailto: sales@ibexpert.biz. Special promotion of IBExpert for purchases on the day of the event for all participants! Isso tamb�m � bom para os participantes, pois teremos promo��o do IBExpert para compra no dia do evento! Have you read our latest Firebird IBExpert White Paper: Software Performance Optimization yet? 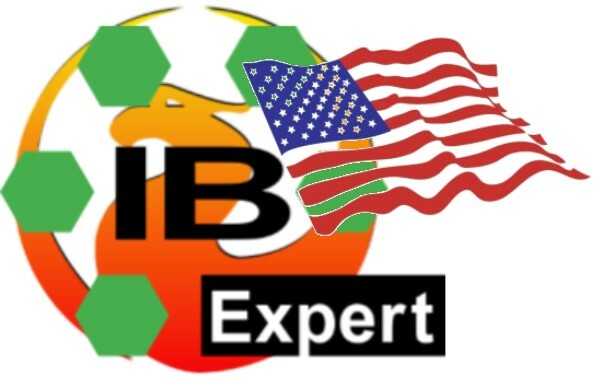 Mail sales@ibexpert.biz or, if you are situated in the US: contact@ibexpert.com. We are looking forward to hearing from you! Make sure you do not miss this event. Holger Klemt, who has over 30 years development experience, will be visiting us from Germany and will present 3 individual training sessions. You can sign up for each individual session. This 2 day session is highly recommended for every Firebird Database Administrator and Developer. We will condense the full contents of the IBExpert Firebird 3 Bootcamp into 2 full days packed with Firebird knowledge. Deep insights into synchronous and asynchronous database replication. Holger Klemt will walk participants closely through master-slave/multi-master synchronous/asynchronous development by examples. After this session, participants will be able to apply data replication technology to their own database system. This 2 day session will teach participants how to develop a web system utilizing Firebird/Apache/PHP technology. Store business logic and web system logs in the Firebird database. Holger Klemt will walk participants through detailed development by example. After this session, participants will be able to start working on their own web systems. You can find detailed session information at Database web applications using Firebird. We are taking a well-earned break from 22nd December 2017 - 1st January 2018! 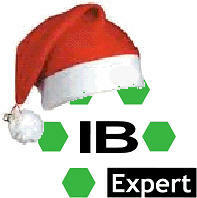 Please note that IBExpert GmbH and IBExpert Ltd cannot be reached by phone over Christmas and the New Year. All incoming emails will be answered upon our return in 2018. 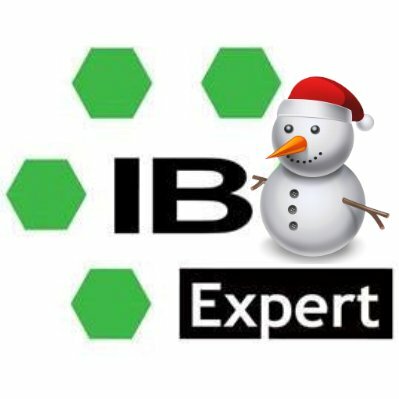 Please order your IBExpert IFS Server, IBExpert software, IBExpert software subscriptions and workshops/training courses no later than 18th December 2017, so that we can process your orders in time. 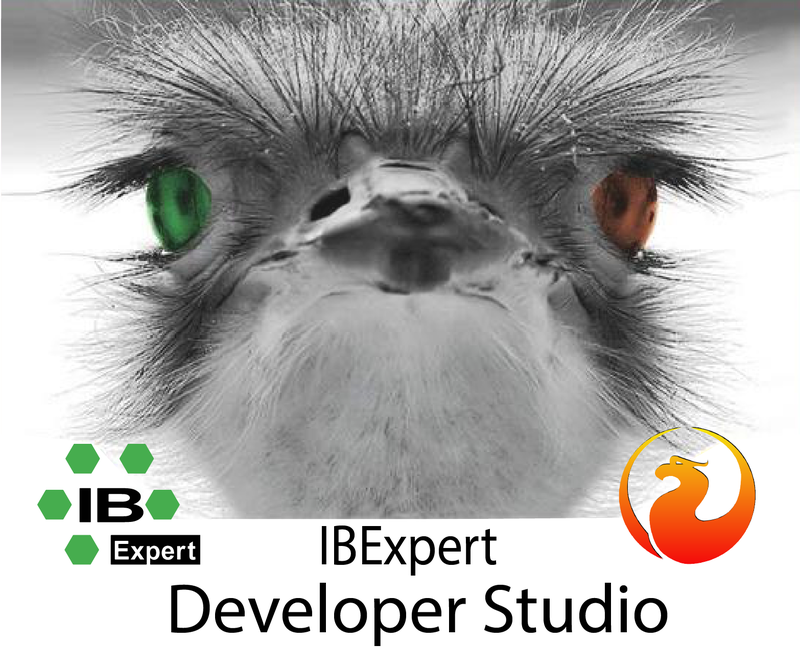 Our IBExpert Developer Studio Edition/Subscription is a few cents a day more expensive, but of course you will still have access to IBExpert software versions in the IBExpert Download Center, which are compatible with current operating systems and the latest Firebird versions. Order in 2017 at the old prices! Special offer: for all orders received in 2017, we will still charge you the old prices, as long as payment is received by 15th January 2018. Activate IBExpert Direct in your IBExpert application, and you will automatically be informed about all new IBExpert versions. We publish details of all new IBExpert features regularly on our website. Go to What's New to view all the latest IBExpert features, or subscribe to our monthly newsletter. ...more. You can find a summary of all IBExpert products, services and prices here. In our 2-day training course Database web applications using Firebird, you will learn all knowledge necessary to visualize data from a Firebird database via an Apache web server on Windows or Linux with minimal PHP knowledge. December 4th-5th: Database web applications using Firebird in Wardenburg, Germany. The latest generation of IFS servers are 100% dedicated Firebird servers. Read today's White Paper to learn about the benefits you can expect compared to most virtual machines, and how database operations can be run on average 10 times faster. Our database expert Holger Klemt speaks in his white paper about fail-safe high-performance hardware solutions for Firebird databases: Whitepaper: Alternatives to virtualization for database servers. 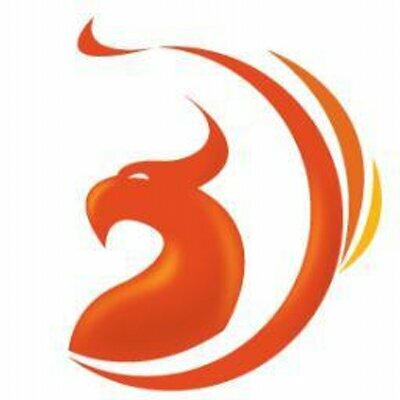 Firebird 3.0.2 has been released! Sign up for our IBExpert Firebird Bootcamps or mail sales@ibexpert.biz for details of our various remote support options.